Estadio Nuevo Arcángel is the multi-purpose stadium located in the city of Córdoba in the southern region of Andalusia. 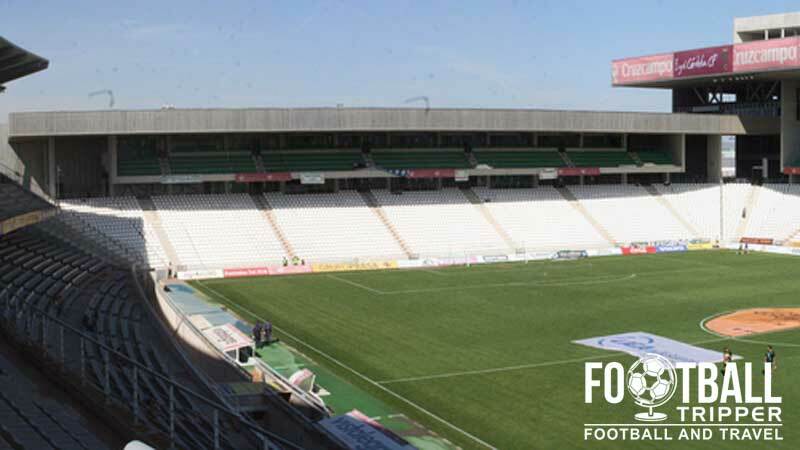 Used mostly for football matches, the ground is home to Córdoba CF who will play in the Primera División in the 2014/2015 season after achieving promotion via the play offs. Estadio Nuevo Arcángel first opened o5h October 1996 as a multi-purpose sports arena. 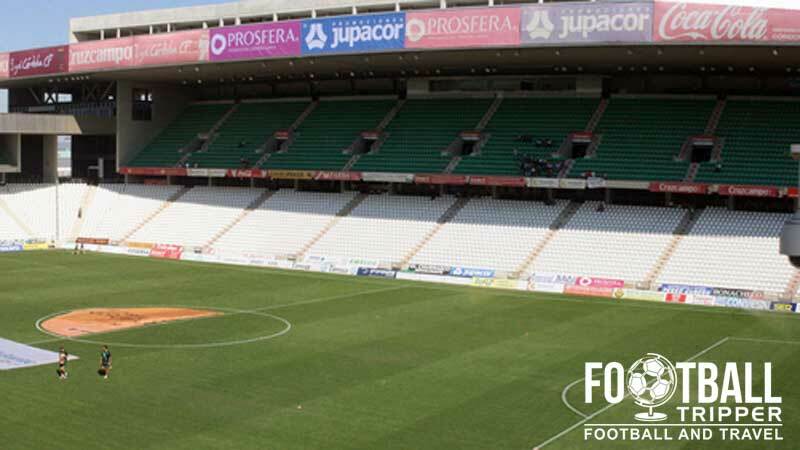 Complete with an athletics track around the perimeter of the pitch, the stands were set back from the action, and there was only room for 15,500 fans which made it one of the smallest stadiums in both La Liga and the Segunda Division. Prior to moving to their current ground, Córdoba CF played for just under 40 years at a stadium situated less than 500 yards from the current one. Simply known as just Estadio Arcangel, it represented a set of dated facilities and after evaluation it appeared to be more cost-effective to completely rebuild from scratch rather than to renovate. Less than 10 years after opening the local council in conjunction with the football club announced plans to adapt the stadium to make it more suitable for soccer matches, with the distance between the stands and the pitch the first thing which was to be addressed. A new 8,726 capacity grandstand was built on top of the athletics track complete with office facilities, and a few years later in September 2008 it was joined by a 3,983 capacity northern goal-end stand. The two missing pieces of the puzzle were later added during the 2012/2013 season. 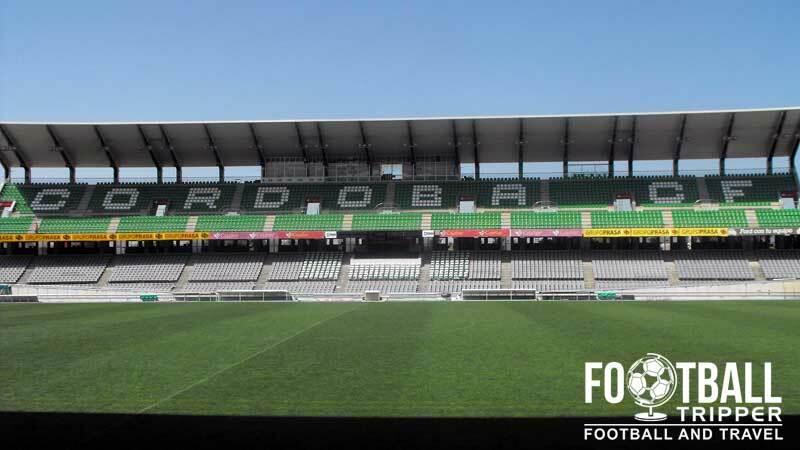 The record league attendance to date was set on 24th January 2015 when a crowd of 21,495 saw Córdoba take on reigning European Champions, Real Madrid. Prior to this, however FC Barcelona attracted a full-house for a Copa del Rey match during the 2012/2013 season. Nuevo Arcángel is comprised of four sections: Fonda Norte, Tribuna Este, Fonda Sur and Tribuna Oeste. As of the 2014/2015 season Cordoba have officially spent the majority of their footballing history in the lower divisions of Spanish Football having spent 26 seasons in the Segunda Division, 20 in Segunda Division B and just 8 in La Liga. Although fiercely proud and protective of their team when playing at home, Cordoba fans in recent seasons have perhaps become more famous for their support on the road. Bearing in mind that Spanish football doesn’t have the same away supporters culture as England, the Andalusian team took over 8,000 supporters to the Bernabeu and 2,000 to Nuevo San Mames. A smell section of some of the most die-hard Cordoba fans who are there to cheer their team on well before kick-off. We’re not currently sure of the away location, bear with us! The city centre is relatively small which means you can easily explore the many local bars on offer before and after kick-off, however bear in mind that Estadio Nuevo Arcangel is located somewhat out of town. The standard range of matchday food options are available at the stadium. In Spain its usually customary to grab something as a snack and then to eat out after the match, but feel free to do as you wish! The Blanquiverdes operate a club shop at Estadio Arcangel in addition to their official online store. For more information you can phone the club shop on (+34) 957 498 121 or send an email to [email protected] which is the generic contract address. A small selection of the merchandise on sale inside the Cordoba CF club store. You definitely wouldn’t see bottles of wine and a scooter helmet in England! 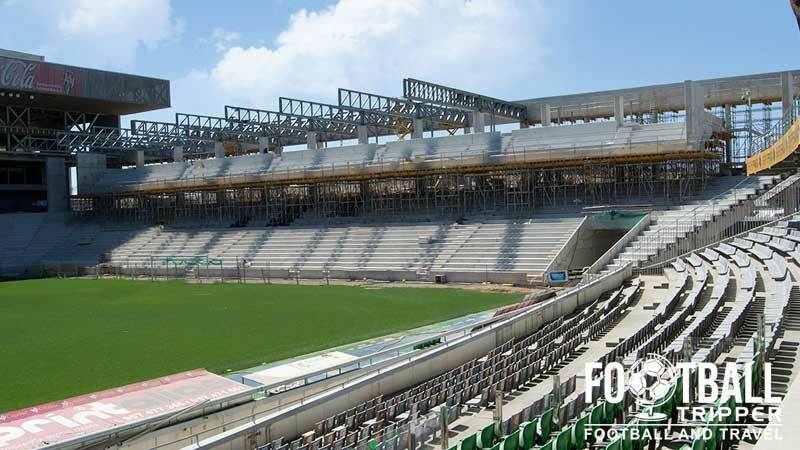 It doesn’t appear as if Córdoba currently offers fans the chance to undertake a tour of the facilities at the new Arcángel stadium, however if this changes i the future we’ll be sure to update this section. Please note that the above prices are based on league matches against standard teams such as Rayo Vallecano and Granada CF. 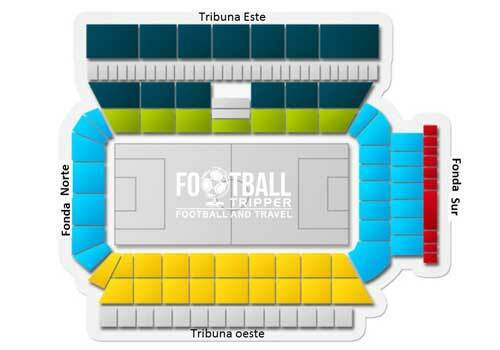 Ticket prices increase for the two giants of Spanish football as well as when Atletico and Sevilla come to town. Estadio el Arcángel is located just under 3.00 km from Centro Córdoba which means you can easily walk the distance in just under 35 minutes. On the little gravel island on which the stadium sits almost every inch is more or less used for parking which makes driving to the stadium a relatively stress free experience. Cordoba Railway station is located pretty much in the city centre and is served by trains on the high speed AVE Madrid-Seville line as well as AVE Madrid – Malaga which means the city is well connected to the rest of Spain. The stadium is served by Line 3 (Avenida de los Mozárabes) in the city centre and Line 4 (Avenida de Medina Azahara) which is right outside the train station. The closest hotel to the stadium appears to be La Posada Del Molino 10 minutes north of the stadium, but after you’ve reached the hotel where the Rio Guadalquivir bends, you’re basically in the city centre so you might as well look slightly further afield to get better value for money. Hostal El Triunfo and Hostal Ronda aren’t bad shouts.